But then the landlord angrily shouts 'out now' and can be seen pushing one of the women, identified as South African woman Siba Nkumbi, down the steep staircase. The woman hits the ground hard and seems to hit the wall and the floor with her face, and then remains motionless. The landlord can be heard shouting 'goddammit' in Dutch while one of the women is crying out 'oh my God' multiple times. The video then shows the landlord walking down the stairs and calling for someone to call an ambulance, ostensibly realising to his own horror what he has just done. Nkumbi says she and her companions were in the middle of leaving when the woman returned with her husband, who was visibly angry and, she says, abusive. “I remembered asking, ‘Why are you being so emotional, we are leaving,” she says. She says that he called them “you people” and said “you are not the queen you think you are… this is not Africa.“Any person of colour that reads this and has witnessed racist attacks you know when it happens to you,” she says. “And the perpetrator always makes sure they say something vague… so they can’t prove anything. “If this had been a white person, I can guarantee you this would have turned out differently.” She says that she resolved to say nothing and was leaving quietly, when the man moved to grab her as she passed him on the stairs. She realised he was about to throw her down. “I don’t remember how it happened,” she says. “I woke up in hospital, in pain. And then I got the video of the story. Everyone was freaking out, the police came to question me.” Nkumbi says she sustained a concussion, has a large bump on the back of her head and is bruised across her face and body. This incident is an excellent example of why no matter how unreasonable you may think someone is being in a civil dispute, a "no-hands" standard is a really a good rule of thumb. The only legitimate use of violence is self-defense. I can understand the frustration that people get when other people impose unnecessary costs of time or money upon them but that's life. If there is really a serious issue call the police and let them handle it. And be more discerning about whom you rent your home to in the future. The guy went from right to wrong by his actions. 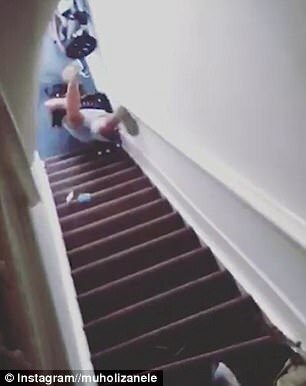 You wouldn't throw a dog down the stairs, let alone a human being. It's difficult to imagine that were the races reversed the landlord would have felt quite so free to put hands on the woman. I doubt that she and her friends were the first people ever to check out late. Things running late, for good reasons or bad, is part of business. It's part of life. You can try to minimize it. I certainly do. But you're never going to eliminate it. And assaulting someone who didn't assault you is always wrong. 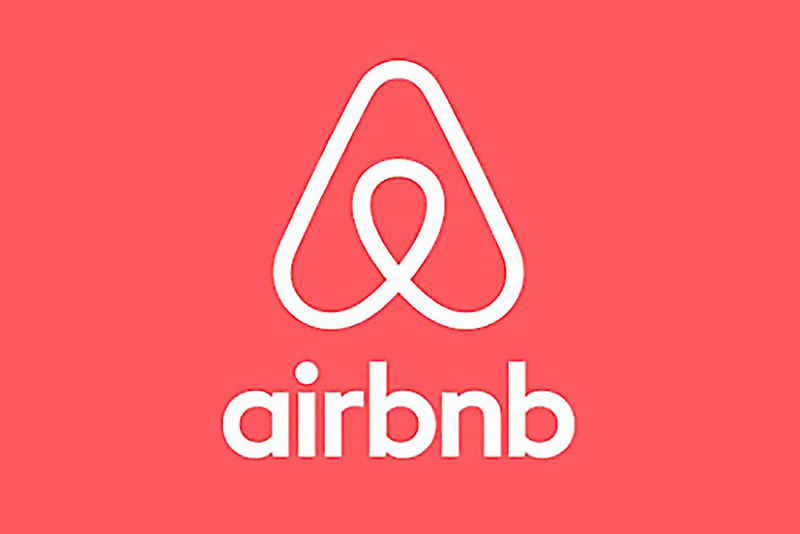 Likely, this incident will be used to justify the racial discrimination which already infests AirBnB. 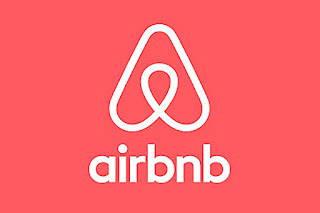 Black tourists may also need to be more discerning about which hosts they decide to live with. Perhaps the Green Book needs to be updated for the 21st century.